Florida House Representative and University of Central Florida alumnus Amber Mariano along with Senator Kieth Perry filed House Bill 257 in January to increase the excess credit hour surcharge limit across state universities. Mariano and Perry argue that the excess credit hour surcharge places a financial burden on students at the end of their degree or those who are considering switching career paths. The bill would increase the number of credit hours students may enroll in before being billed with 100% the normal tuition rate ($105.07) on top of the regular rate for tuition and fees ($212.28) per credit hour. The current limit is 110% of the total hours needed for a program; the bill would increase the limit to 120%. “Students should not be penalized for their curiosity to learn. Students across our university system are struck with this surcharge, and it hits our STEM students the hardest,” Rep. Mariano said in a press release. UCF will independently launch a $40 million financial aid package as soon as Spring 2019 to assist graduating students and alleviate debt. The university found that the average student loan debt package has skyrocketed to $37,172 (class of 2016) to place it higher than auto loans or credit card debt, behind only mortgages. The Constellation Fund’s primary goal is to supporting student success when income shouldn’t be a factor in earning a degree, UCF says. 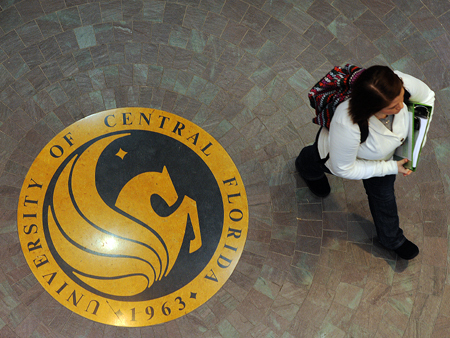 The new funding will significantly increase the amount of institutional aid such as scholarships, grants, fellowships and assistantships that UCF provides to low and middle-income students who often are first-generation students. Nearly half of students manage their courses while working at least 20 hours a week, according to UCF. “Florida’s universities and colleges are nationwide leaders in higher education,” said Senator Perry. Stay tuned with Knight News for more.